Hard Rock Café is currently celebrating the "burger season" and they would us to take in the festivity with a special menu prepared specially for their guests. The special menu will showcase International Legendary Burgers and this is being coined as World Burger Tour. World Burger Tour will run starting today until the end of July 2016. 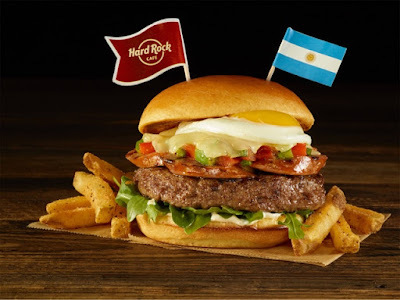 So, try and visit Hard Rock Café to experience World Burger Tour in your own country. Happy burger eating to all!